Showing results by author "J.M. Surra"
Sixty-eight years pass. On September 15th, 2015, an incident involving the Roswell wreckage escalates into a massive nuclear exchange between Russia and the United States, leaving five billion dead. Another eighty-three years have passed. 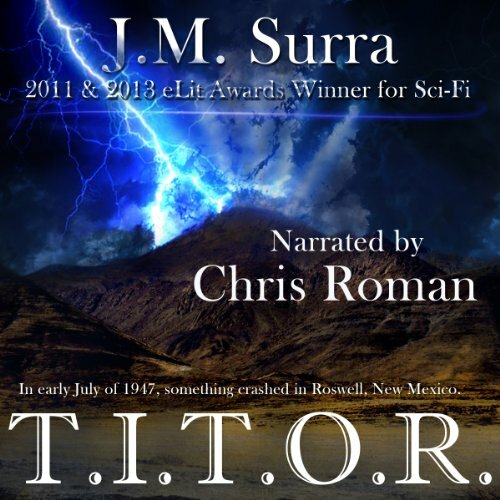 It's 2098, and project T.I.T.O.R. is a reality. Hop machines are created by top quantum physicists Ephraim Caine, Jeff Waldron, and Rose Rios. These complex crafts are designed to do one thing: penetrate the time barrier. Time is short. The mother of all abstract conspiracy stories.